Football’s Over, So What Now? We all woke up Monday morning with an empty feeling. We had just watched, most likely, the most boring Super Bowl of all time. There were record lows in points scored, commercials laughed at, and shirts remaining at the end of a halftime performance (yes, even Janet). We watched Tom Brady, Bill Belichick and Robert Kraft hoist another Lombardi Trophy. And now we’re faced with the sobering reality that we are entering into the a new sports year. Football is great because it’s formatted into neat little compartments: one game Monday, one game Thursday, High School on Friday, College on Saturday, NFL on Sunday. Our fall and winter weeks revolve around this schedule. We take a brief pause for postseason baseball, and check the box scores on early-season basketball and hockey results, but nothing compares to the attention we pay to football from September to February. So, what now? I wish I could sell you on the Bulls, but they’re really bad. Like, “MY EYES!” bad. Comparatively, the Blackhawks are trying to make a playoff spot and have only a 6% chance of doing so as of this writing. They’d be better off putting the tank efforts on like their United Center roommates. Baseball free agency might kick into high gear in the next couple weeks, but it’s looking less and less like either side of Chicago will be playing a part in the festivities. The Cubs are unwilling to spend big to make marquee additions, and the White Sox are getting closer and closer to striking out on both Manny Machado and Bryce Harper. Packers fans will hang all their hopes on their two first-round draft selections, and Bears fans won’t even pay attention until Day 3 of the draft since they traded all their picks away for Khalil Mack and Mitch Trubisky. In the college ranks, Wisconsin does look to be making a push back into the NCAA tournament. Greg Gard seems to have put the Badgers back on the path to relevance after missing last year’s big dance for the first time in 19 seasons. Brad Underwood’s Fighting Illini are playing better in the last couple weeks, but they have to pray to make an NIT appearance after an abysmal non-conference record. College basketball will still be responsible for two of the most entertaining weekends of the sports year, but there’s not many match-ups that I’d consider appointment TV. We are entering the home stretch for high school hoops, and East is dominating the NIC-10 boys race. Chris Brunell and Sincere Parker are one of the most dynamic and talented duo’s to grace the area in some time. The test will be how sharp they stay as they cruise to a conference title and breeze through the early rounds of the postseason. Coaches will always tell you they don’t want their teams peaking too early. If East still hasn’t peaked, the rest of the state should be on notice. On the girls’ side of the ledger, Boylan and Hononegah will meet Tuesday for the second time this season in what will almost surely be a best-of-3 series; with the loser of Game 3 going home. Boylan vs Honongah in girls basketball was my game of the year last year, and this campaign isn’t setting up any different. 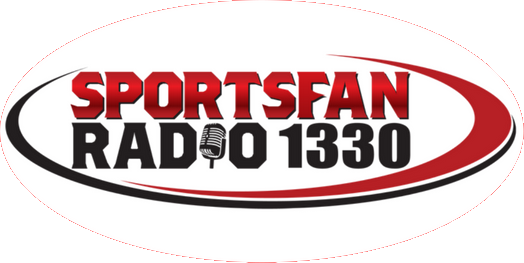 If you want fun local sports, tune in Tuesday night to SportsFan 1330 to hear all the action. The answer to the “What now?” question doesn’t lie within your TV Guide. It lies here locally. Rally around your alma mater. Support RVC and Rockford University. 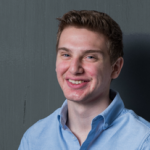 The IceHogs are beginning a sx-game homestand that will feature Henri Jokiharju; a former first round draft pick of the Blackhawks who will be a star for years to come in the NHL. What an awesome opportunity to get an up-close look at a future superstar. In 2018 I went to Rams/Saints in the SuperDome, Bears/Packers in Lambeau, and Notre Dame/ Stanford in South Bend. But the best night of sports I had last year was an IceHogs playoff game with my two brothers. We showed up five minutes before puck drop, watched the ‘Hogs win, then made a short walk to CJ’s downtown for beer and darts. It was easy, affordable and entertaining. So yeah, check in to see if Tiger is competing in the Masters, fill out your March Madness brackets, and compile your mock drafts. But don’t forget that you have plenty of sports right in your backyard. I think you’d be surprised at how much bang you get for your buck.